Tripam began receiving notoriety as an outstanding outfielder for Richards High School in Oak Lawn, Illinois, earning All-Conference honors her four years on the varsity team. She went on to play at Illinois Benedictine College, where she received All-American honors. In 1989, she met Steve Gill at one of her college games and was invited to play for Made to Order. She accepted and was a mainstay through 2007 for a perennially strong team. Tripam earned dozens of All-Tournament awards, three gold gloves and a batting title. She was a member of three Illinois State Championship teams, three National Championship teams (1989 Muncie, Indiana, 1999 Sheboygan, Wisconsin, 2004 Blaine, Minnesota). In 2005, Made to Order won the Class B World Championship at the ESPN Wide World of Sports Complex in Orlando, Florida. Tripam joined O’Brien’s Painting/Double Vision in 2008 and played three seasons with that team. She earned All-Tournament honors each year (2008 Illinois Great Lakes, 2009 Ohio Great Lakes, 2010 Illinois D State Tournament). In 2011, Tripam made another move, joining Kaiser’s Pizza/DeMarini/Guiness. During her three years on that team, she was a member of two Class D State Championship teams, two Great Lakes National Championship teams and the 2012 Class D World Series Championship teams at the Wide World Sports Complex in Florida. She was awarded All-Tournament honors at the State Tournament in Rockford and the USSSA World Tournament in Florida. “I’ve met true pioneers of the game over the years. Players from the All-American Girls Professional Baseball League would come to the tournaments, have a few beers and tell stories. That’s what I plan on doing as well, passing along wonderful stories to the next generation of slow pitch softball players,” she said. Congratulations Jean – all your hard work has paid off and welcome to the Illinois USSSA Hall of Fame! The sport of softball was not prominent in Betty’s early life. She grew up on Parker Avenue on the Northwest side of Chicago, playing whiffle ball and sand lot league ball – she was not allowed to join little league back then. In high school, Kollar competed in basketball, tennis, track, soccer and joined a local Chicago 16-inch softball team. During her junior year, Kollar was recruited to play for the farm team of The Ravens of the International Women’s Softball League. Although fast pitch was not her cup of tea, it was at this time Kollar was introduced to USSSA 11-inch slow pitch softball. For the next 12 years, she got to meet and play with some of the greatest players, coaches, sponsors and mentors of the game. In 1978, Kollar played on the Bud Light sponsored team, home base in Deerfield, Illinois. 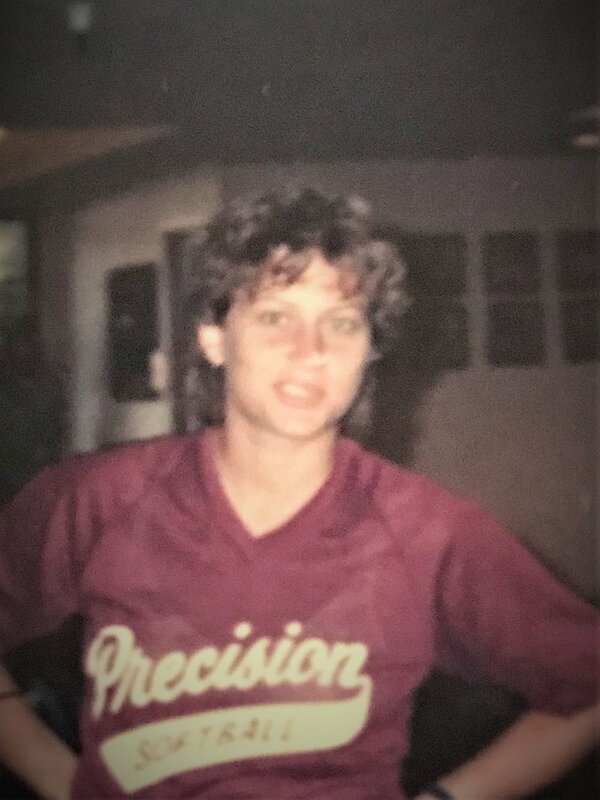 When that team folded, coach Mary Biondi-Kasinski of Precision Softball from Racine, Wisconsin stepped in and recruited Betty and many of her Bud Light teammates to join what would become a dominating USSSA Class A team. The Precision team finished top in every Wisconsin league and tournament they entered. Rated as the best USSSA Class A team in Wisconsin, they traveled to as many NITs as possible. Small in stature, Kollar surprised many opposing pitchers by her excellent speed on the bases that allowed her to reach extra bases, especially when there was no fence and she scored a home run or two. Batting in the top half of the order, Kollar had a consistent high on-base percentage (.558) and covered center field with her signature slide and catch of short-looping fly balls. Precision Softball had great chemistry with National and Illinois Hall of Fame inductee Laura Filip on the mound, 2017 Illinois USSSA Hall of Fame inductee and outfielder Mary Ellen Buckley and an all-star roster of the area’s best softball players. Precision had their best finish in the 1984 USSSA World Tournament – 4th place! Kollar is humbled to be an inductee in the Illinois USSSA Hall of Fame. Welcome Betty Kollar into the Illinois USSSA Hall of Fame!